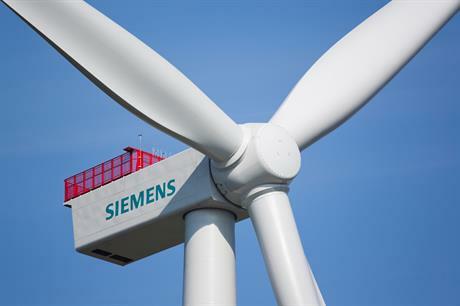 NETHERLANDS: Siemens has confirmed that is to supply its 4MW turbines for the 600MW Gemini project in Dutch waters, the first commercial deployment of the model. The German manufacturer will install 150 of the turbines on the project, which is 85 kilometres from the Dutch coast in the North Sea. Siemens had been expected to supply the turbines, but the Gemini consortium has now signed contracts to make the agreement unconditional. The supply deal is worth EUR 1.5 billion, Siemens said. Construction is expected to start at the end of the year, with commissioning due in 2016. As well as installing the turbines, Siemens will provide operations and maintenance services for a period of 15-years. For the first time, Siemens will supply a helicopter to be available to the project at all times and a service vessel that will be based at the wind farm. This is the first utility-scale order for the SWT 4.0-130, which is an upgraded version of Siemens' workhorse 3.6MW turbine. The deal also represents Siemens first move into the Dutch offshore wind market. Canadian energy firm Northland Power is the main shareholder in the Gemini consortium, with a 60% stake. Siemens itself owns 20%, while 10% stakes belong to offshore contractor Van Oord and HVC, a joint venture of 48 Dutch municipalities and six water regulatory authorities.